Minsk is an exceptionally green city filled with countless parks great and small, not to mention the trees lining nearly every street. The green spaces are so immaculately cared for that park space is not usually used for sports but rather as a pleasant relaxation spot - and relaxing on a shady bench is something you'll see the locals doing at any excuse. While some parks are rather wild (Chelyuskintsev Forest Park), some parks are pristine gardens with paved paths and their own streams and ponds (Yanka Kupala Park, Botanical Gardens). Many of central Minsk's parks, such as Gorky Park, are even specially designed for children with amusement rides abound. Named after the great 20th-century Belarusian writer Yanka Kupala, this park was founded just after World War II and contains a museum and huge Soviet-style statue to Kupala. There are several statues dotted throughout the park's paths, which also includes a portion of the bike path which follows the Svisloch river across Minsk. Find the serene, picturesque park just across the bridge from Victory Square. 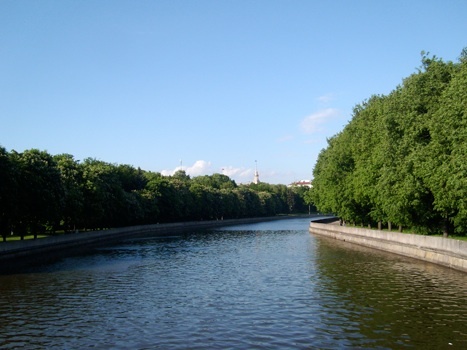 One of Minsk's oldest green space, Gorky was first established in this under the name Governor's Garden in 1800 until it was renamed under Soviet rule to Gorky Park after the Soviet writer and political activist Maxim Gorky. Primarily aimed toward's children, Gorky Park has several rides, food stands, skating rink, and even a ferris wheel standing tall at 56 metres. Located across Nezavisimosti avenue from Yanka Kupala Park. A few metro stops east from downtown Minsk, Chelyuskintsev Park offers a 78-hectare taste of Belarus' famous forests (40 per cent of the country is covered with the stuff). Tall tress line busy Nezavisimosti avenue, and inside, wider green spaces allow for a little active relaxation. As with Gorky Park, Chelyuskintsev Park caters very well to the whole family with an amusement park, mini railway for children, and a cinema. Next door is the stunning Botanical Garden, home to a wide variety of flora and even a swan lake. A final tip - smoking is prohibited in nearly all Minsk parks, so leave your cigarette pack at home and enjoy that fresh Belarusian air!